Bailout Bill Helps Minneapolis Duplex Owners Go Green | Your best resource for buying, selling, owning and investing in duplexes and duplex homes. While it hasn’t received a great deal of media coverage, The Emergency Economic Stabilization Act of 2008, also known as the $700 billion bailout bill included several incentives for investors to go green. For the next eight years, anyone who builds or renovates a multi-family, commercial or retail property and includes alternative energy features, particularly solar panels will receive a 30 percent tax credit. Property owners who add small wind power (capacity of 100 kw or less) will also be eligible for a 30 percent tax credit, up to $4,000. This is in addition to any tax credits offered locally or from the state of Minnesota. The bill also offers a 10 percent tax credit for specific combined heat and power systems, as well as for geothermal heat pumps. Taxpayers faced with the Alternative Minimum Tax will see their income tax limits increased through the use of energy tax credits. 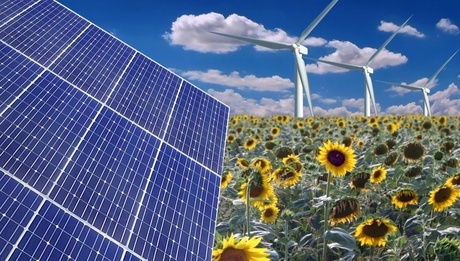 Alternative energy tax credits may now be carried over to the property owner’s next tax year. It looks like a good time to go green.